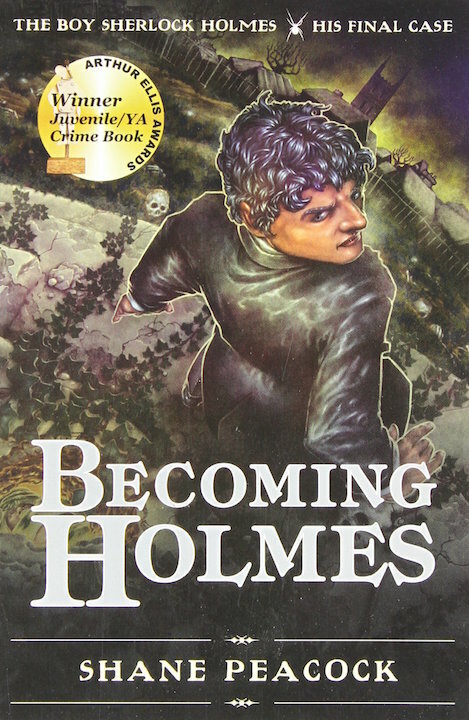 Not to be confused with Andrew Lane's Young Sherlock Holmes books, this unofficial series about "The Boy Sherlock Holmes" ran for six books between 2009 and 2014. As the cover states, this was his last adventure. It is the summer of 1870 in London, and death seems to be everywhere; at least it feels that way to Sherlock Holmes. Almost seventeen now, he cannot shake the blackness that has descended upon him. And somewhere out there in the darkness, Sherlock's great enemy, the villainous Malefactor, is spinning his web of evil, planning who knows what. Only one thing can rouse the young detective from the depths of despair: the possibility of justice. Through information gleaned from his brother, Mycroft, Holmes uncovers a new and terrible plot unleashed by his nemesis. Prepared to do anything to stop Malefactor, Sherlock sets out to destroy his rival and bring him and his henchmen down, once and for all. Everything in the brilliant boy's life changes as death knocks again.... In this shocking and spine-tingling conclusion to the series, Sherlock Holmes transforms, becoming the immortal master of criminal detection.